Acrylic Flooring is suitable for all-weather conditions, UV resisted and quick drying applicable for indoor and outdoor play grounds. The main utilization areas are Tennis Courts, Athletic Tracks and Multi Purpose Sports Courts. Reform Sports offers a wide range of colors and 100% ecological products, which gives perfect solutions for sport and environmental applications. Acrylic Systems are designed to give the players a maximum playing performance at any level. 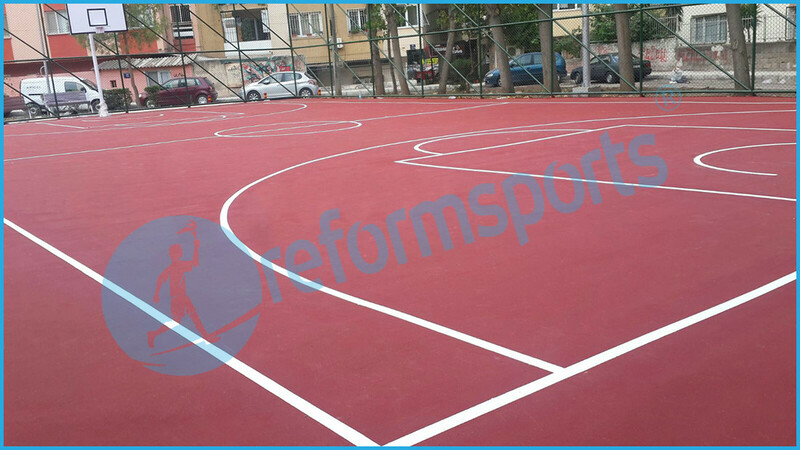 Reform Sports offers, three different tennis court surface systems which can provide with a high speed and perfect playing performance required by the highest executive authority, the International Tennis Federation (ITF). Acrylic Floor Cushion: Water-based acrylic resin, and various synthetic ingredients contained, sports ground is designed specifically for the construction of flooring. Aesthetics and are affordable sports flooring. Preferably on asphalt or concrete in the desired color with special primer 2 mm – 3 mm thick can be applied.